This is an innocuous looking grid. A smattering of black squares. Classic diagonal symmetry. At first glance, this could be any crossword. But this isn’t any crossword. This is The Crossword From Hell. I have to confess, I love this puzzle. 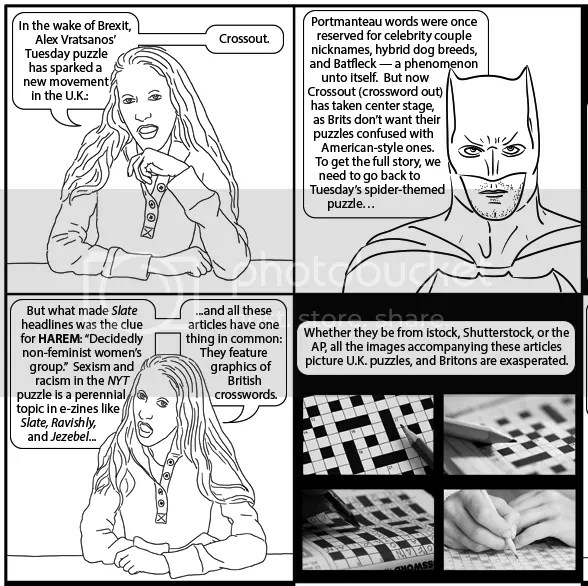 The mix of fill-in-the-blank clues that could be ANYTHING and the incredibly obscure, yet specific, requests for trivial minutiae delightfully skewer the worst crossword constructing practices, particularly crosswordese. Yes, that puzzle is my only foray into crossword composition (well, fake composition, truth be told. I did field at least one email from somebody who said he had solved all the clues but one, and he believed that I cheated on that word. I suspected he was pulling my leg…). Since my grad school days in the ’70s I have been a snooty puzzle solver: only the NYT puzzle, and even then, nothing earlier than Thursday, always in ink. I was able to solve maybe a third of the Saturday puzzles, but it took me well into the next week to do it. I love the clever themes and wordplay in the Sunday puzzles, and could often complete them, but by no means every time. 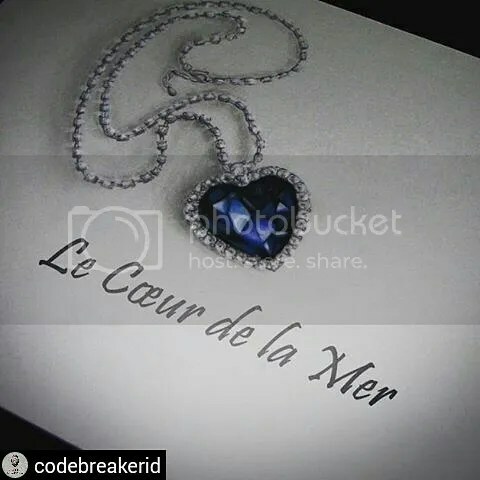 I decided to take my frustrations out on clues that were at once obscure and too much trouble for someone as lazy as me to remember the words for. Creating that puzzle was very satisfying, kind of like an exorcism or something. I don’t know. I have always thought the web is the perfect place to post snark and work out dark impulses. 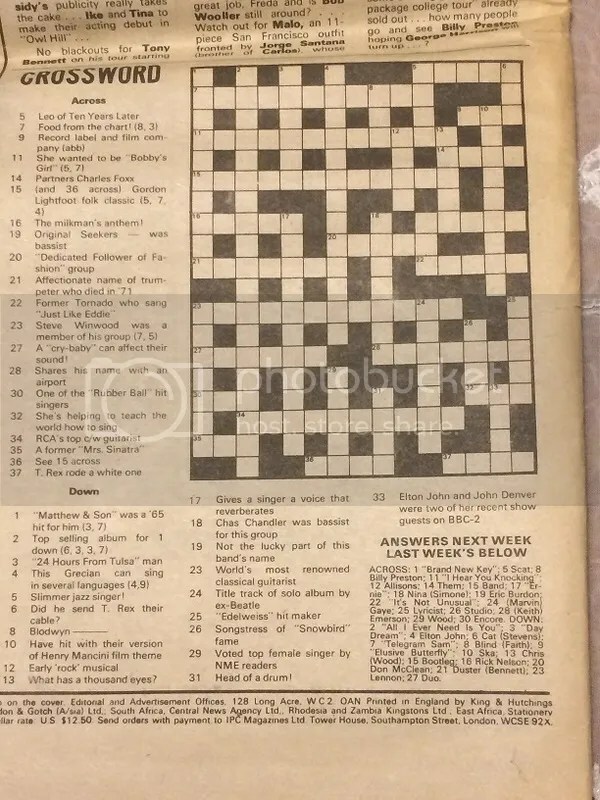 Perhaps the funniest thing about this exaggerated crossword is that, to many who struggle with tougher crosswords, it probably doesn’t seem exaggerated at all. 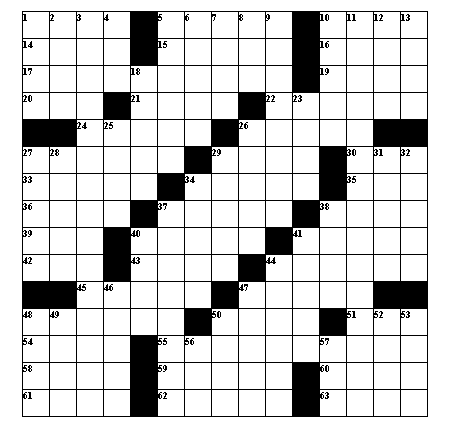 Great crossword puzzles manage to be clever and challenging while sidestepping many of the pitfalls featured in The Crossword From Hell. But this is a wonderfully funny reminder of what you should strive NOT to do. A huge thank you to Dr. Petruso for his time AND his creative efforts on behalf of puzzlers everywhere. The latest comic on Hayley Gold’s wonderful webpage Across and Down brought an article on Slate to my attention, and I wanted to share my thoughts on the subject. The article by Ruth Graham was entitled “Why Is the New York Times Crossword So Clueless About Race and Gender?” and the centerpiece of the article was last week’s Tuesday puzzle, particularly the 31-Down clue “Decidedly non-feminist women’s group” for HAREM. HAREM is a troublesome word to clue as it is, one of those filler words that makes crosswords feel so behind-the-times, like PAGAN (which is always clued like “heathen” instead of as someone non-aligned with the bigger religions). Even the clues that pass for innocuous when it comes to HAREM, like “Sultan’s bevy of beauties,” are a little unpleasant, as if some tuxedo-clad goon is describing the contestants for Miss America, another antiquated practice that should go by the wayside. “Hateful” and “awful” may seem a bit harsh for what reads like a lame attempt at cheekiness. But the clue is certainly tone-deaf. And it’s not the first time a puzzle’s un-PC cluelessness has annoyed people. In 2012, the answer ILLEGAL was clued with: “One caught by the border patrol.” The offensive use of illegal as a noun set off a brouhaha that made its way to Univision. In 2013, a national puzzle syndicate apologized for using the clue “Shylock” for the answer JEW. 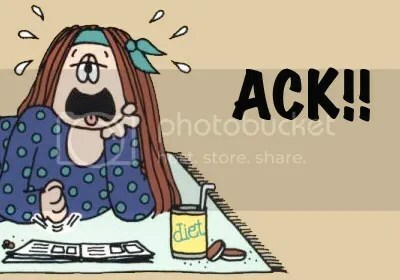 And in November, Shortz issued a mea culpa for the clue “Exasperated comment from a feminist.” Answer: MEN — presumably with an invisible exclamation point and flying sweat out of a Cathy comic. She went on to discuss the dearth of women and people of color in puzzle constructing — something that is slowly changing, thankfully — as well as the tendency to only bring black culture into crosswords with “homies” and “thugs” in order to clue words like HOOD and GANGSTA, but there was one style of cluing that I feel should also be discussed in the same light. You’ll see foreign words often clued with the English equivalent, and then some indicator of a foreign place. “One, in Seville” for UNO, or “Sea, in Paris” for MER. That’s all well and good. But I’ve always been a little uncomfortable with clues like “June, to Juan” or “Left, to Pablo” that are meant to follow the same format. Picking names that are stereotypically associated with a given culture or ethnicity may not be as overtly hostile as cluing “Gangsta rap characters” as THUGS, but it’s certainly not MUCH better. And we should do better. Crosswords are a cultural microcosm, representing the commonalities and peculiarities of our language in a given time and place. They represent our trivia, our understanding, our cleverness, our humor, and, yes, sometimes our shortcomings. But if each crossword is a tiny time capsule, we should try our damnedest to have it represent the best of us.